If you’ve been following the attic conversion here on the blog, or on social media, you’ll know that it’s almost done. We’ve had a few more developments in the last week since the last blog post, but I’m going to save it all for a big room reveal now. I did want to write separately about the shower we’ve used though, as it’s been quite a hunt for the right kind of thing. Putting a shower into a loft conversion can be tricky, depending on your type of boiler. 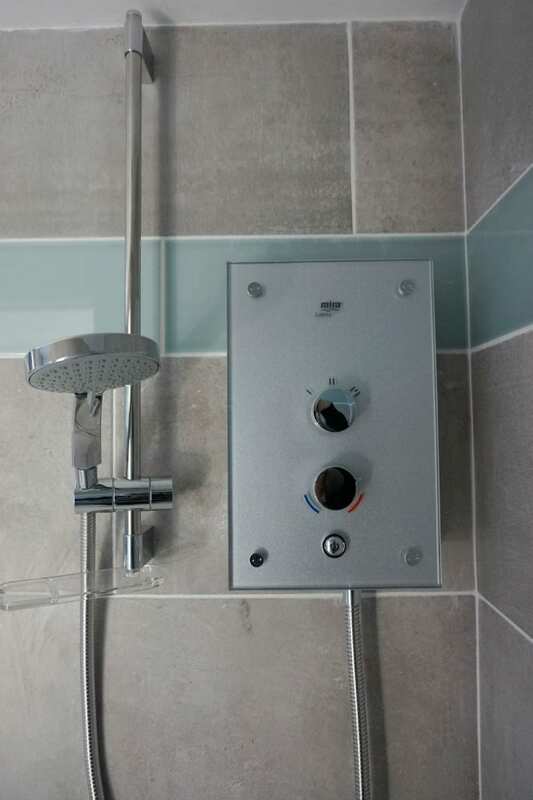 If you aren’t having the boiler changed, and you have a combination boiler like we do, you may not be able to install a power shower running off the mains, and might be forced into an electric shower. There is always an option to install a pump to help a mains run shower produce enough power and force in a loft, but for us there wasn’t enough space. So, we decided to go for an electric shower instead. I was a little disappointed. I had dreamt about installing a rainfall shower head, and hiding away all the units with just minimal control knobs on display. Unfortunately, this wasn’t going to be possible, and having just had a new boiler a few years ago, we weren’t going to spend another £5k replacing it. It’s not all doom and gloom though, because there are some very stylish electric showers out on the market. 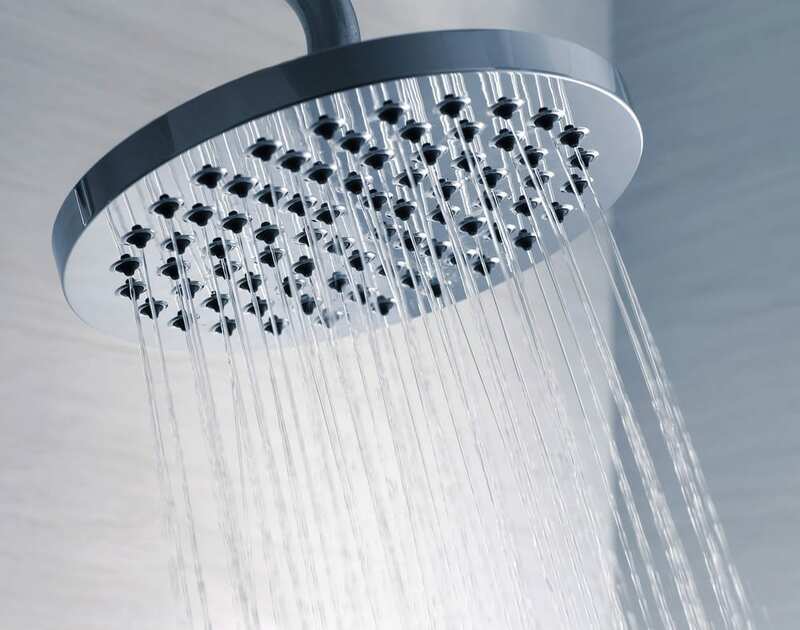 Having long been a Mira Showers fan, their range was our first stop. Instantly I saw there were a couple of designs that had promise. Being minimal and contemporary, it looked like we had found something that could work with our bathroom style and give me the look I was after in our new en-suite. I liked both the Mira Galena and the Azora, with their sleek, minimal front panel, either of which could look great in the bathroom. They are also both powered at 9.8Kw; a decent power to give a good water flow. There’s nothing worse than a weak shower is there? In the end we decided on the Mira Galena (above), simply for its choice of panel finish. The bathroom tiles are a concrete effect, and I wanted something that would work with both those and the other pieces in the room. The Galena is available in 4 different finishes; slate effect, light stone, black flock, and our choice, silver glass. So, it’s now installed and looking great, and we’ve been using it for a week or so. I’m really pleased. 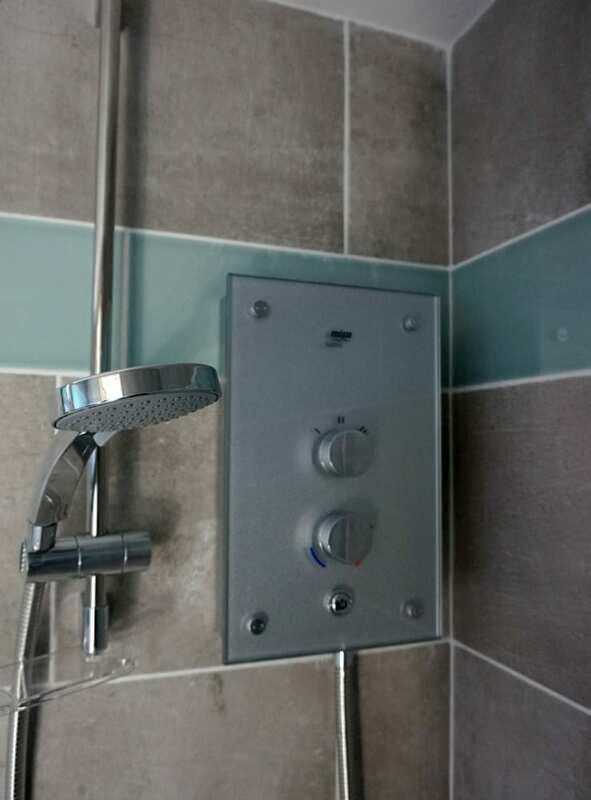 I particularly like the look of course, but also the different settings on the shower head, and the ease of use. 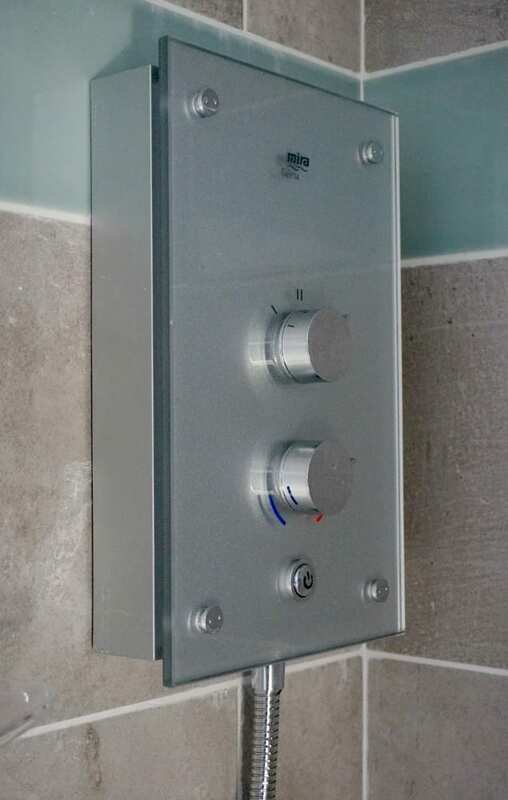 The simple push button makes it easy for the girls to use too (and they’re used to a Mira shower from our main bathroom). We have very hard water in our area, so time will tell on the Clearscale technology, but I’m really keen to see if this helps. 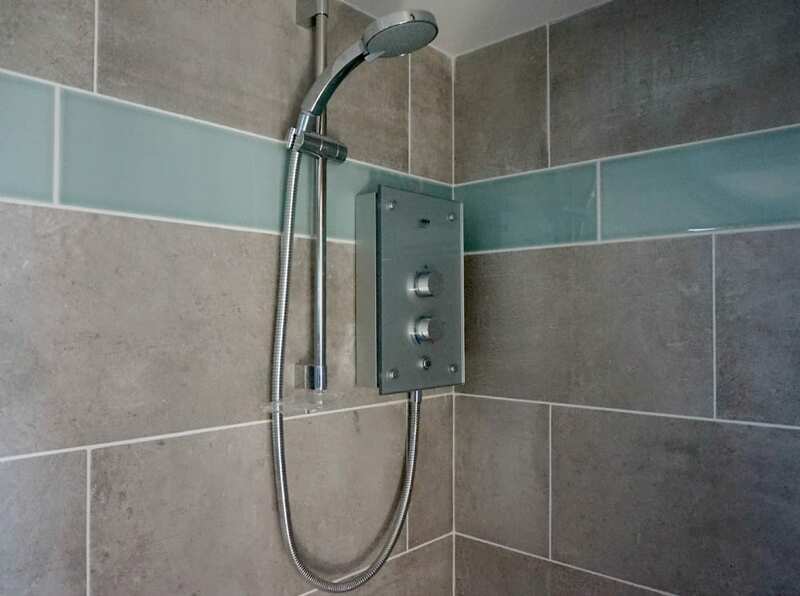 I’m very pleased I chose the Mira, it’s a great solution for the attic room shower, and having been pleased with their products in our main bathroom, I’m confident this model will be just as reliable. The Mira Galena was gifted for the purposes of this review, but all words and comments are genuine and honest, and I really am a big fan of the brand. Just randomly came in your blog, Nice Review Jen. I think you are using the Foodie theme from Studiopress I love the blog design and BTW, is Mira showers available in Indian Market. Oh I’m loving the shower, it looks really cool and streamlined. Great tiles too! Is there any additional info about the costs of electricity and setup guide line for this? Great looking shower. Very modern. Really interesting post Jen. I’m hoping to makeover our bathroom this year but I’m not looking to do too much work so will probably just update our existing electric shower with one that is a little more classy.